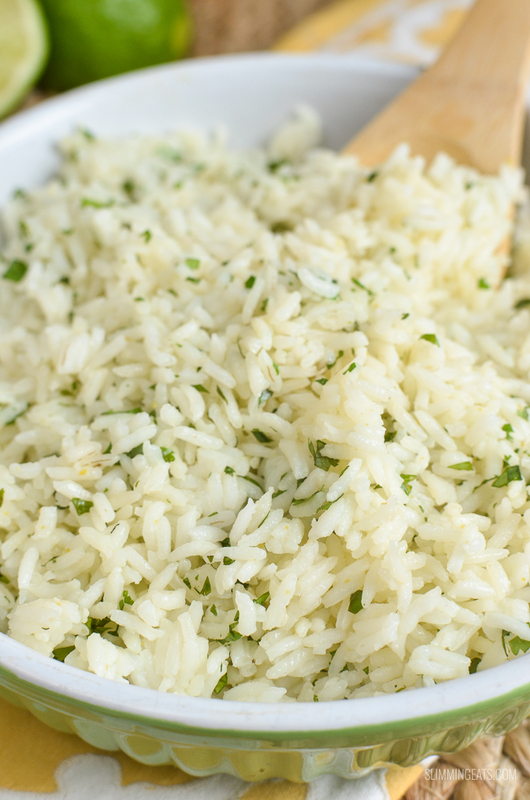 I love rice, it’s one of my favourite side dishes, and is great alongside curries and casseroles to soak up all the yummy sauce. 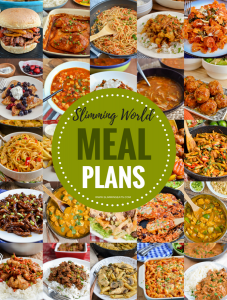 Sometimes though when you fancy a little bit more than just some plain steamed rice, it is super easy to vary it up by cooking in some stock and adding vegetables or herbs etc for a bit more flavour. 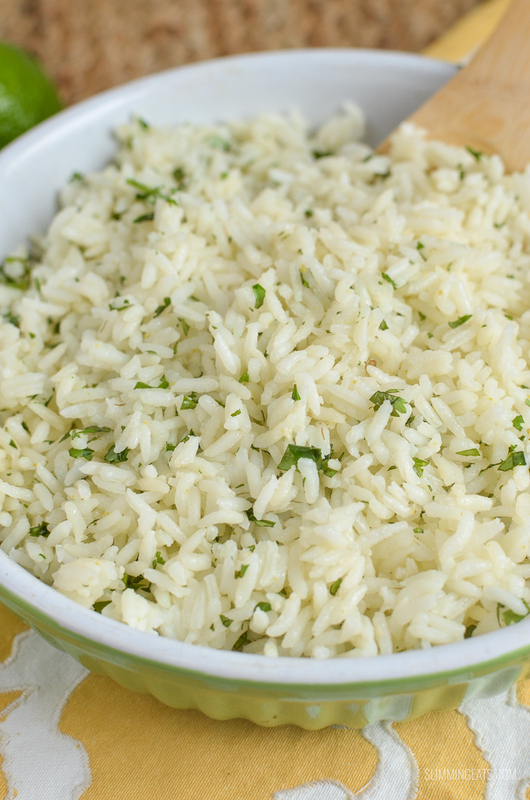 One of my favourite combinations for rice is lime and coriander (cilantro), it adds a lovely delicate fragrance. It doesn’t take long to make either. 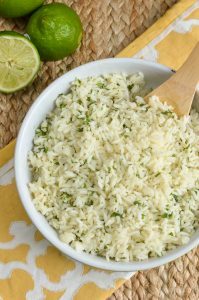 For this Lime and Coriander Rice – I just cook the rice in chicken or vegetable stock, and then once cooked spray through a little spray oil, just to lightly coat the rice so it doesn’t all stick together and then stir through the juice and zest of a lime and some fresh coriander (cilantro). 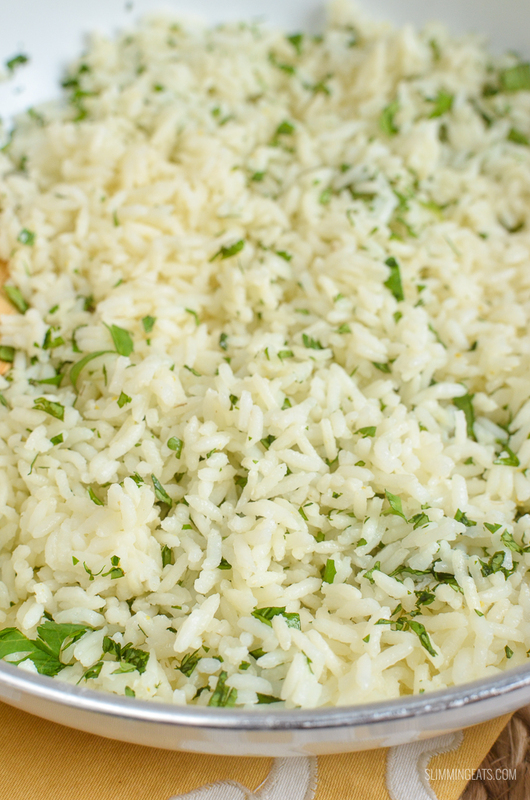 I regularly make this Lime and Coriander Rice for lunches when I fancy something starchy alongside salads and quiches. It is also great served with chicken dishes such as this Grilled Chicken Breast Stuffed with Mozzarella or Black Pepper Chicken with Roasted Vegetables. As well as chicken it would accompany many fishes dishes or other meats of choice. Why not give this Lime and Coriander Rice a try next time you are looking for something a little different to serve alongside your main dish. 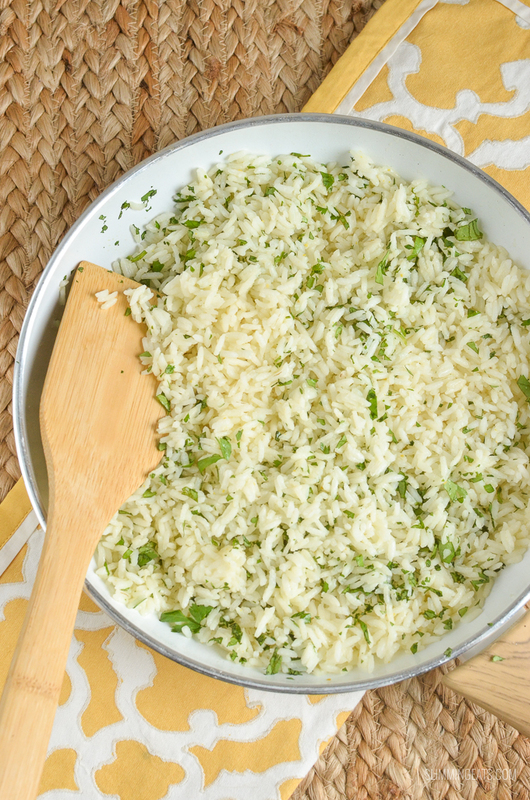 Kids will love the zesty flavour too, in fact my kids love this rice and would happily eat it alone in a bowl. It is also gluten, dairy free and perfect for vegetarians if you use vegetable stock to cook the rice in. 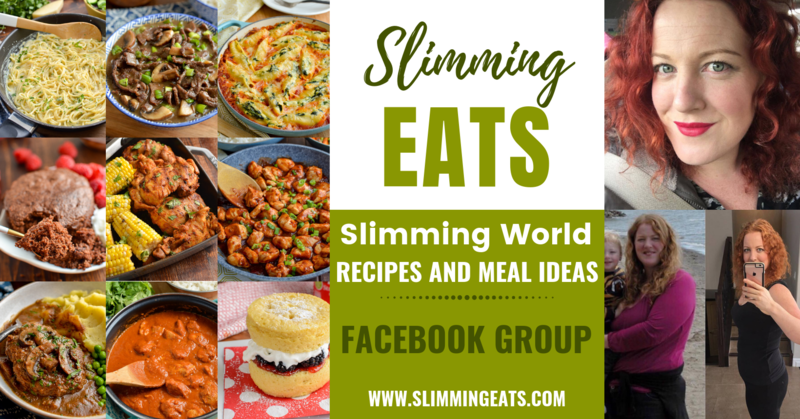 Looking for some more side dishes to try? Add the rice and stock to a deep frying pan, bring to a boil and simmer until stock is almost absorbed. Spray with some spray oil, just to separate any grains of rice clumped together. Stir in the zest and juice of half a lime and the fresh coriander.